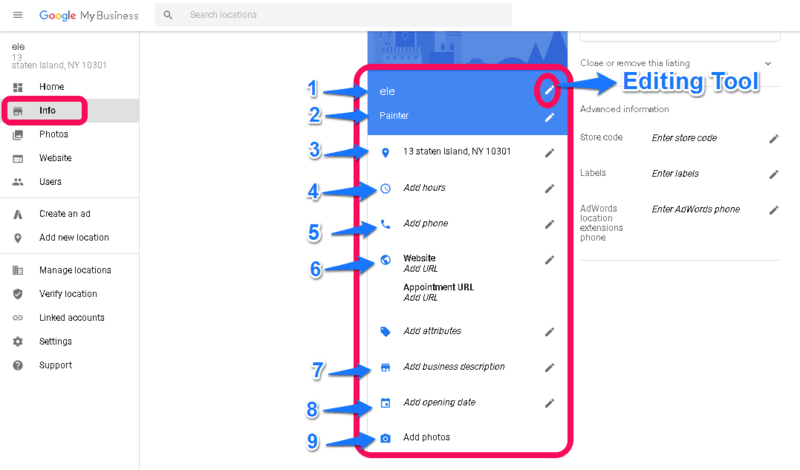 How to Get Your Local Business Listed in Google? If you are targeting your local market and focusing on optimizing your local listing in Google, then Google My Business will be a priority. It is a free and handy tool which you can even manage from your mobile phone. At the moment, after the search algorithm update, Google aims to understand user search intent and content to provide best results. Accordingly, websites that offer better solutions for their customers get higher rankings in Google search. In other words, Google tries to explore the user intent. 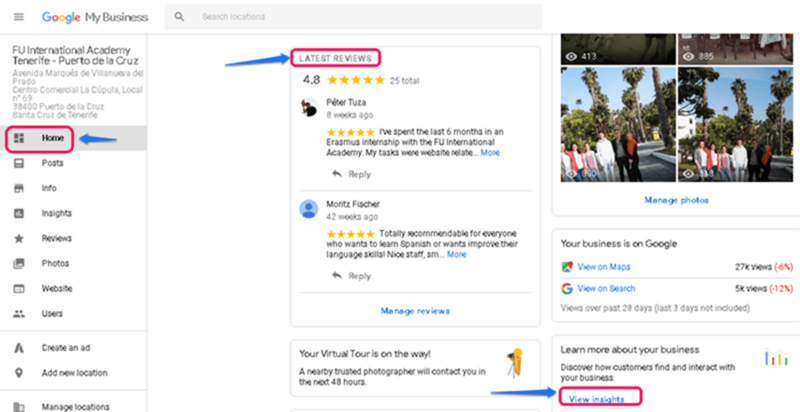 When users start to search for a local business or a service, Google uses their geographical location to recommend business nearby. The impact of “near me” suggestions is impressive. 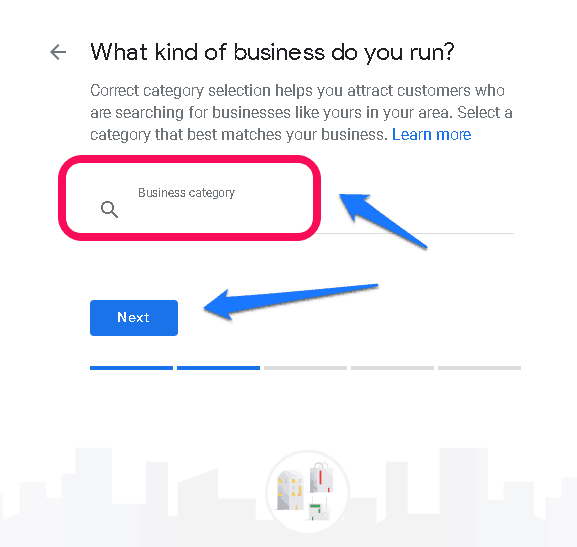 People search Google by typing “nearby” or similar phrases to get suggestions when they are seeking a business or service in their local area. Considering that your business is optimized for local SEO, it will be more likely to be found by people who are trying to locate a business in their geographical area. 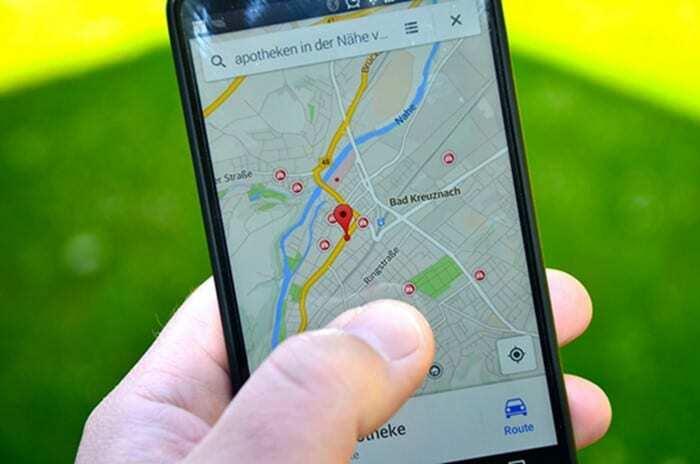 Google My Business will help you to get listed on Google searches with a geographical intent that are frequently done by your prospects and current customers. Moreover, you can generate organic traffic to your website and make it easier for your people to find your location on Google Maps. Additionally, it is a handy tool you can even manage from your mobile device and launch your recent offers or follow up on customers’ posts and comments. In short, you will manage all your business’ Google activities in one place. Based on this, we could say that it’s possible to engage your customers, anytime, anywhere. It is a pretty useful service since it is free, easy to set up and accessible from everywhere. 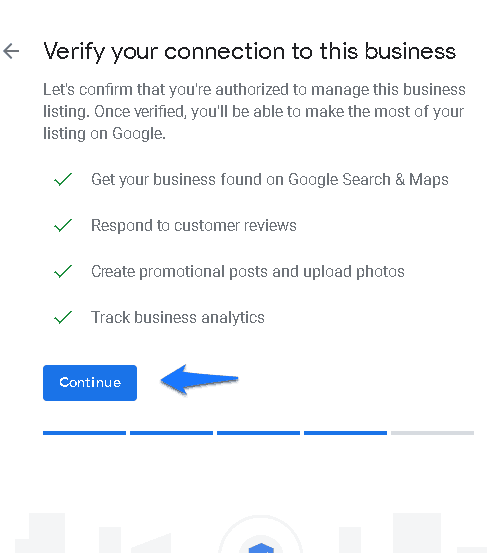 Are you overwhelmed with setting up your Google My Business account or is your profile outdated? Or maybe you simply don’t have the time to optimize it yourself? Let us help you out! Check out our Local SEO / GMB Optimization service and get better local rankings in Google. 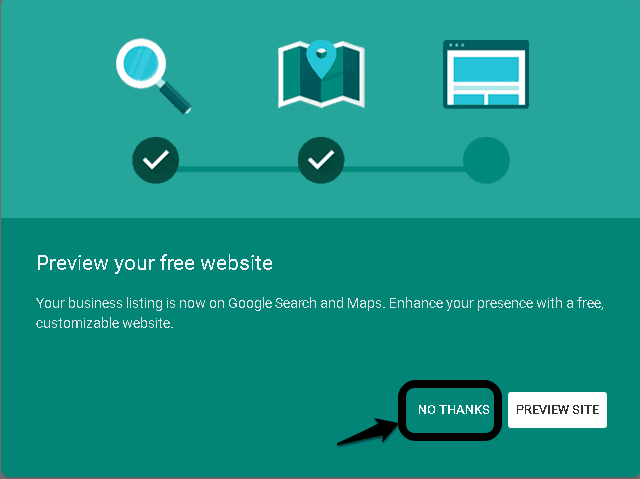 Create your Google My Business account or review and update the information. Optimize your GMB images with your target keywords. Manually build high-quality citations across at least 10 listing platforms. Sound interesting? Get detailed information about our service here. Want to do it on your own? Read along and we will explain how can you do it yourself in easy steps. To make sure we’re all on the same page, let’s get some basics down first. For local SEO, a major aspect is a high-quality Google My Business (GMB) profile. The optimization of the GMB profile is considered a main part of local SEO. Simply, GMB is a free Google service that makes your business name, address and contact information searchable online and via Google maps. 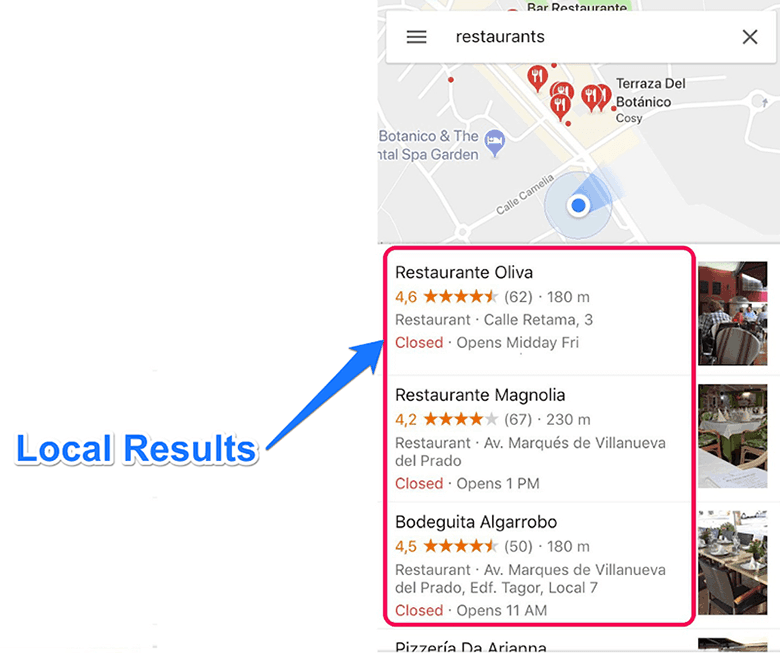 Thanks to GMB, you can find businesses on Google as a local search result. Local Results are shown to the user differently depending on the device that he/she uses. 1. Paid search results: Paid advertising – website owners pay money to show their ads upon searching for certain keywords. 2. 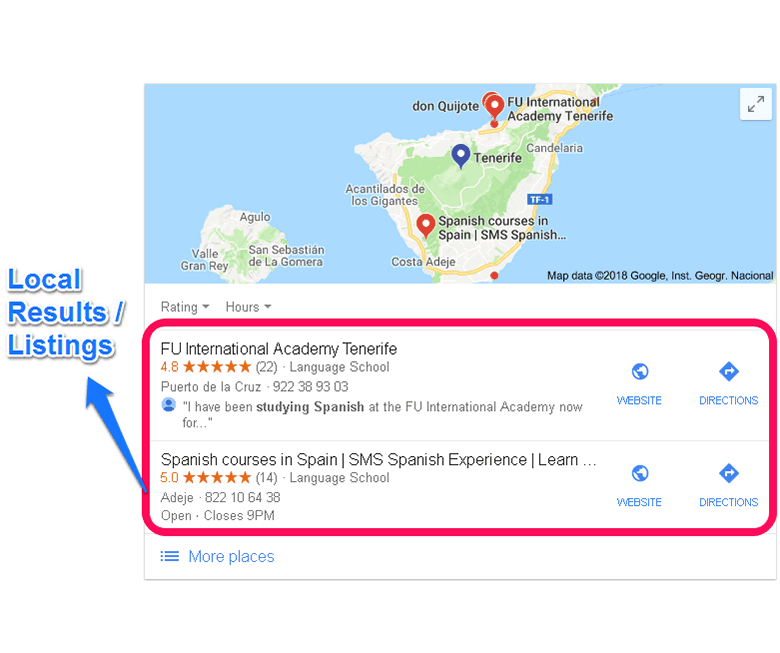 Local search results: Results that have a geographical component – and what this blog post is all about! Businesses that make use of Google My Business will appear here for keywords with a geographical component. 3. Organic search results: These appear below the local results (if there are any). Google lists all results it thinks are relevant to a search query or keyword. It is important to note that organic results have no geographical connection. In essence, when you run a search, Google differentiates your queries between whether or not having a geographical intent. So if your search has no geographical factor, it won’t bring up any local results and vice versa. There are, of course, many more ways in which Google might display search results, such as featured snippets or answer boxes. 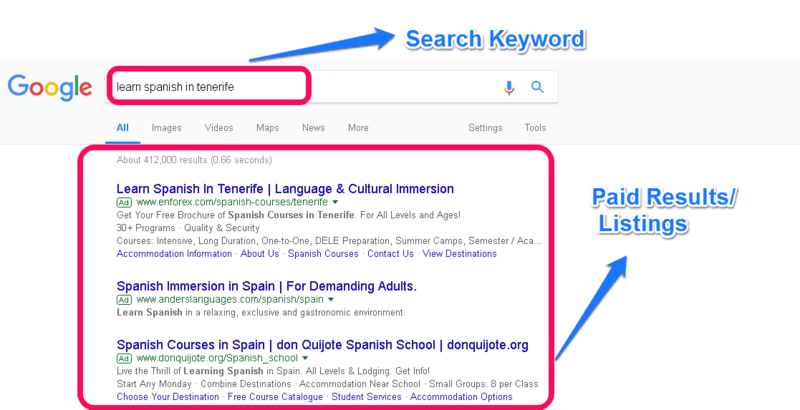 To find out more about all the different elements of Google’s SERPs (search engine result pages), check out this Yoast article about the different SERP elements. So, to sum up, if Google thinks that a geographical area is important or connected to your query, it displays the local listing first. As an example, if you search for “eating pizza” or “pizza nearby”, Google thinks that you want to eat pizza and will display you the local results for pizza restaurants near you. On the other hand, if you search for “pizza recipe”, Google understands that it has nothing to do with your location as you want to prepare pizza. In this case, Google won’t display local results but instead other SERP elements. What do you need to set up or optimize your GMB account? Before we begin, it might be useful to get some definitions down, in case you are completely new to the world of local SEO. 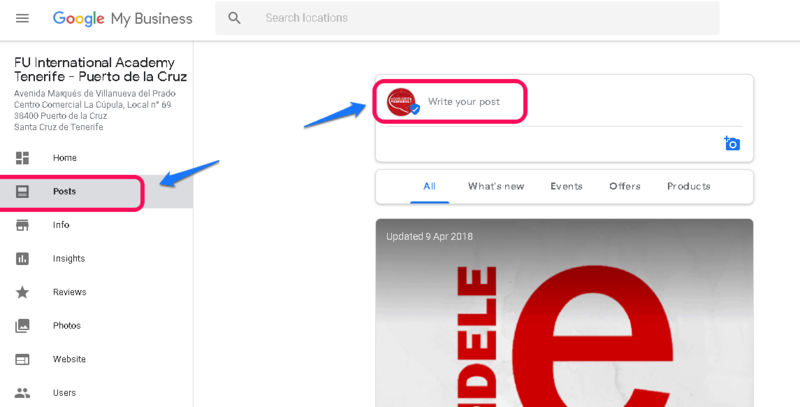 The current branding of Google’s local product that helps you to be listed in local search results and provides current and future customers information about your business. The word or phrase people enter into search engines to find businesses or websites. A numerical evaluation on a scale of 1-5. In local search, it refers to consumers’ ratings of a business’ quality standard or performance. An assessment by customers that summarize their experience with a specific business, which can be done directly in Google to evaluate businesses. This refers to “Name, Address, Phone”. NAP data for any business should be consistent over the web. If you already have your GMB account set up, skip this section. Go directly to update your GMB account part by clicking here. Go to the Google My Business webpage and click “start now”. 2. 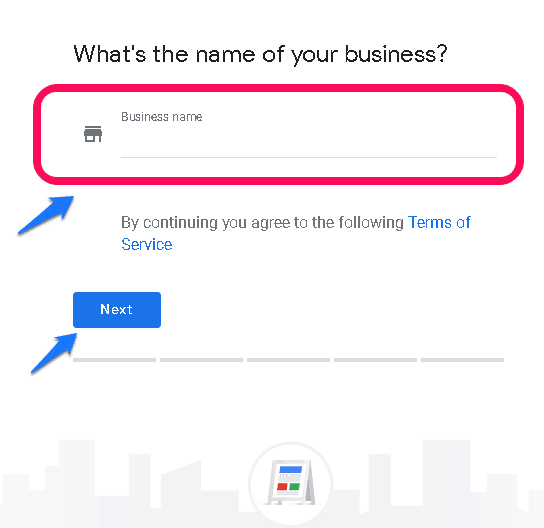 Write your business name and then click “Next”. 3. Add your business address and then click “Next”, if you deliver goods or services to your customer, tick the related box. 4. Upon adding your business location data, Google will suggest some business names. 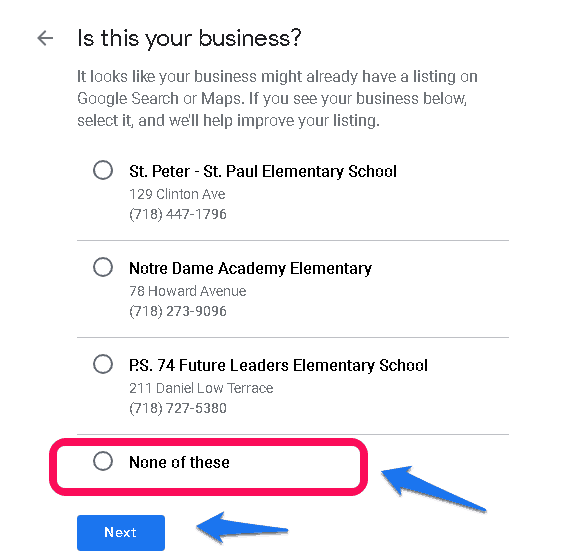 If you can find your business among the list select it, if not select the “none of them” option and click “Next”. 5. Here you will determine your location on the map. Simply drag the marker and position it on your business location and click “Next”. 6. Select your business category and then click “Next”. 7. 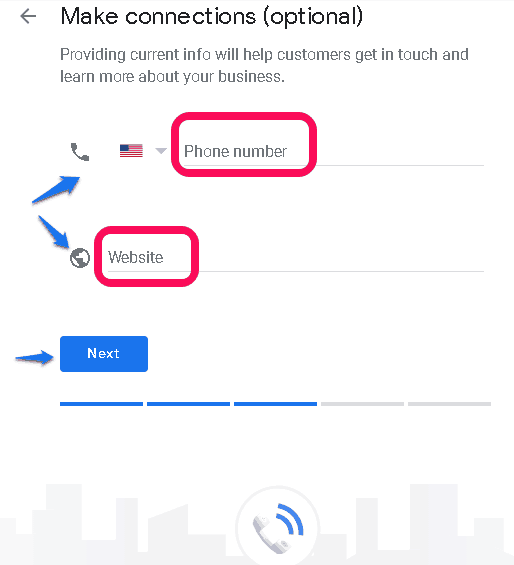 Add your business phone number, website and click “Next”. 8. Click continue to proceed. 9. In order to run your GMB account, you need to verify it. 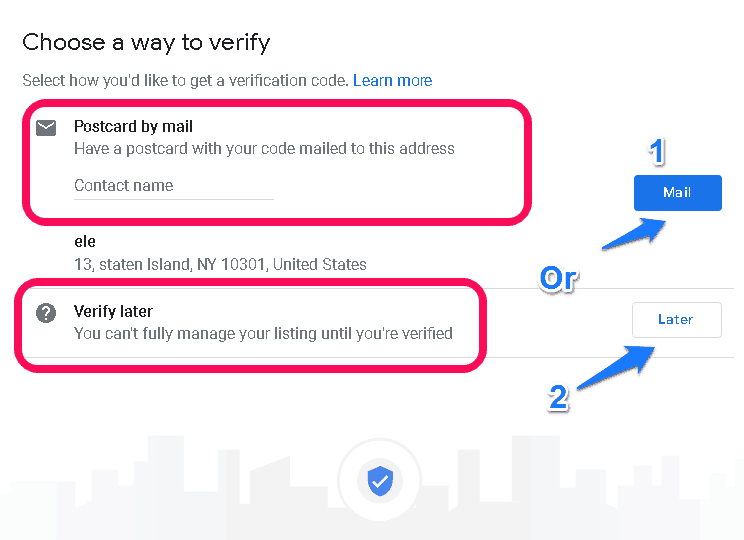 You can choose option 1 to verify it by mail and you should add a contact person. Or you can choose to verify your account later. 10. GMB offers a simple layout of a website for its customers. If you’re interested in that, you can hit “Preview Site”, otherwise select “No Thanks”. 11. This a preview of a GMB account (not verified yet). The “Home” interface will give you an overview of your GMB account and activities, together with links to get the mobile apps. 12. In the “Info” menu, you can add or edit your business information (address, phone number, working hours … etc). Edit all the information that is missing or needs to be updated. 13. Go to “Photo” menu to add your business photos. Photos have different sections: you can add interior, exterior, at work, and team photos. Also, you can specify your business logo, profile, and cover photo. There is an option to include videos in the same section. Take into consideration that the photos should be geotagged. We will talk about geotagging photos later on in this post, click here to jump directly to that section. Furthermore, it is advised to add keywords to your photos. To jump ahead to that section, click here. 14. After verification of your GMB account, you will have the option to add irregular opening hours for your business, which will mainly be holidays or different opening hours due to special occasions. 15. In the “Users” menu you can add other managers for your GMB account. To add new users, click on the “Users” tab and then select Invite New Users in the top right corner. 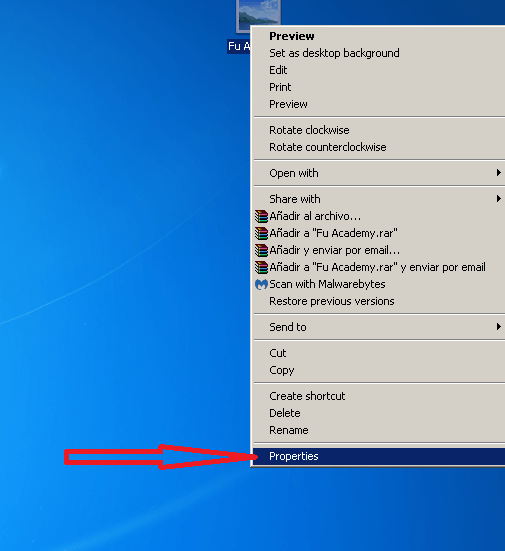 A new window will be opened and you can add users by email. 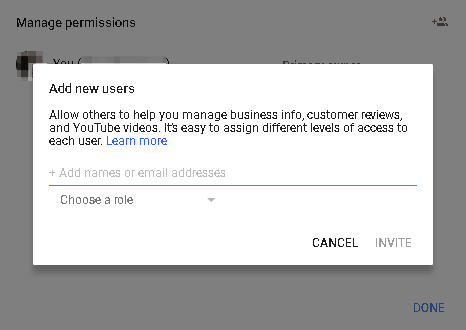 Also, you can assign their desired role as a manager or admin for your GMB account, then click “Invite”. You have the chance to update your photos, videos and business information in your GMB account (review previous steps for details, from step 13 to 15). 16. On your home page, you can always check your business reviews and insights. In the review section, you can read your customer’s comments and their feedbacks of their experience with your corporation. In the insight section, you can read how customers interact with your GMB account. You can check how customers search for your business, where customers view your business on Google, and photos views. 17. In the posts section, you can upload new posts with photos which could be news, offers, and events. Moreover, you can share it via your different social media channels. 18. 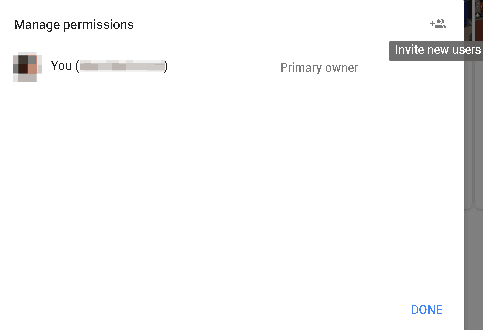 If you are managing more than one GMB account, you can access this information from the “Manage Locations” tab in your home interface. Geotagging is connecting a place to a photo through a software. 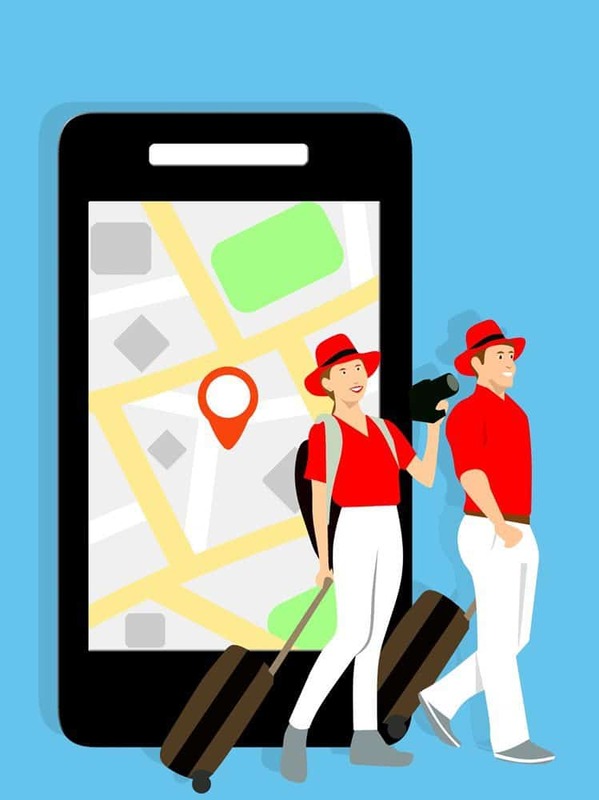 In local SEO, geotagging images is highly recommended to improve the search engine ranking for location-specific websites and businesses. It doesn’t mean that the website will be outranked but more likely to be seen. GeoImgr is a simple web-tool for adding geotags to photos and images online. Tip: GeoImgr accepts only jpg formats, so make sure to convert your images before using them with GeoImgr. Drag and drop the photo to the white box or click on the white box to upload the photo by locating it on your computer. 3. 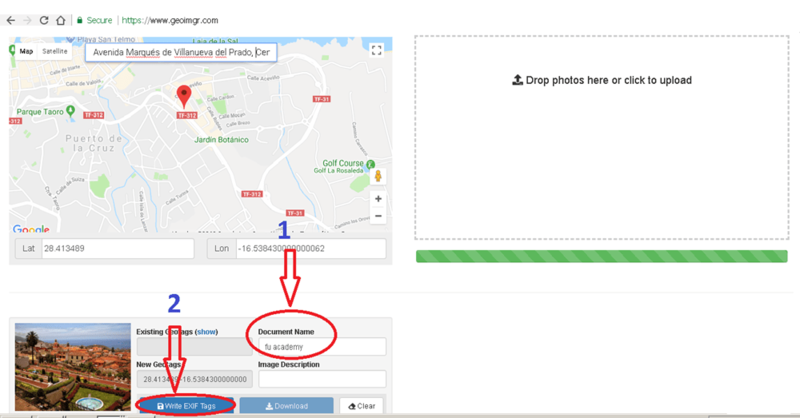 Find your location on the map: type the business address in the search box or name of the place where you would like to tag your photos and press “Enter”. 4. The red marker sets on your destination and the existing geotags will be shown on the map. To pick a precise location, change the current location by dragging the red marker on the map to the correct place using your mouse. 5. 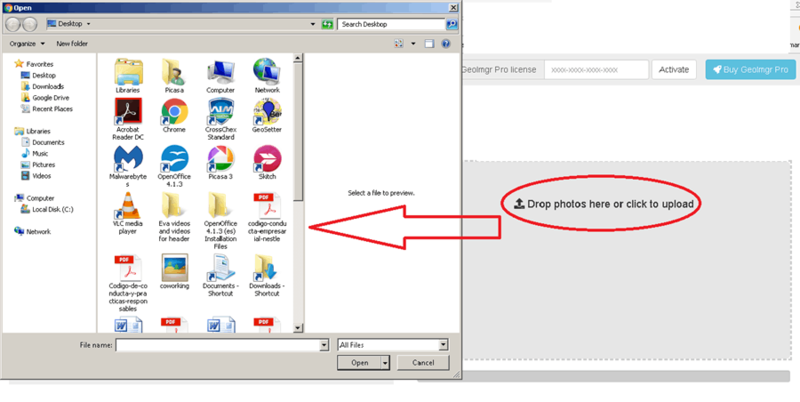 In “document name” box: type the new photo name. 6. Hit the button “Write EXIF Tags” to add geotags information to your photo. 7. You will notice that your photo is successfully tagged when the green “photo tagged” box is displayed. 8. Hit the “Download” button to save the geotagged photo to your computer. 9. Double check whether the geotag was added to your photo or not. Right-click on the photo which you just geotagged to select the “Properties” menu. 10. Select details, here, you will find the GPS data of the photo. How to Add Keywords to Your Photos? Make a list of the most important keywords related to your business. Add variations of keywords to most of the photos. Ideally, you will rename your photos using these keywords. Don’t overuse keywords, try to name photos with combinations of keywords. 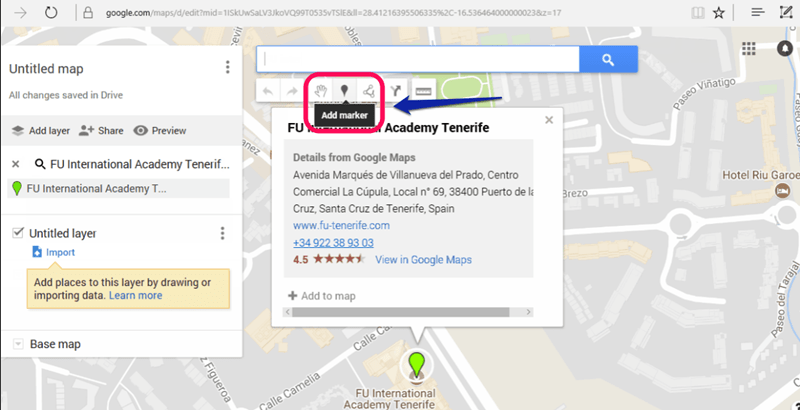 Bonus: How to Create a Custom Map for Your Business on Google Maps? 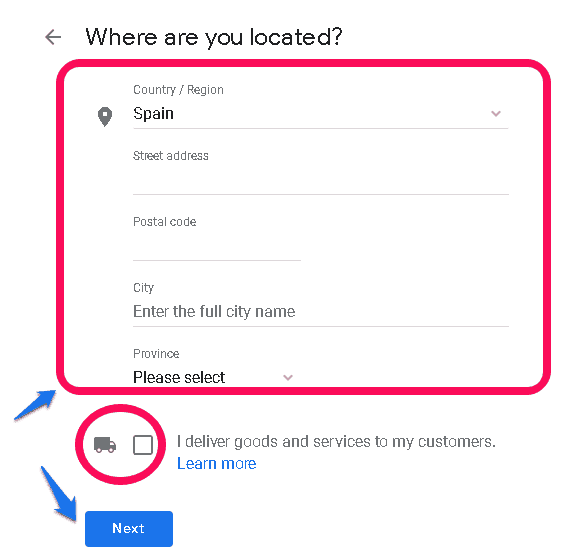 This is not a necessity for GMB account, but if you want to display your location with a map on your website you can use Google Maps to create a custom map. 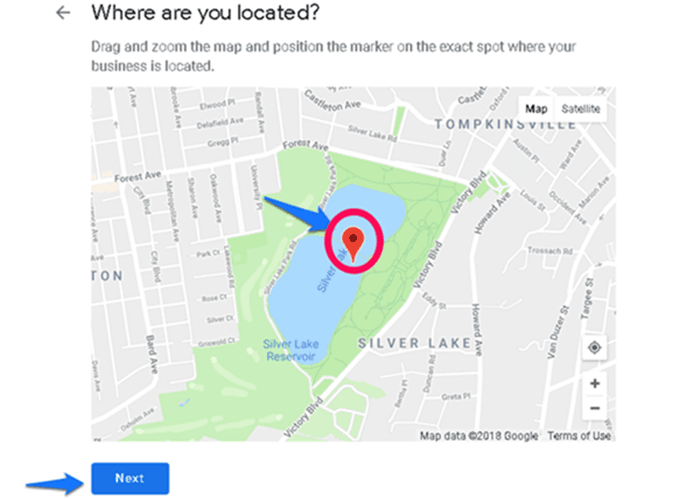 The map shows different office locations and helps you to gain better visibility in the local presence by embedding it on the company’s site (contact section). Google map listing is free of charge. Website visitors benefit from using a map of locations and Google values that by ranking the company higher. Additionally, it’s easier for people to get driving directions, information and submit reviews for these locations. Go to Google My Maps and click on “Create a new map”. You’ll need to sign in using Gmail account. 2. Type the business address in the search bar and click on “search” icon. 3. Google searches the address and places a green marker on the map while displaying the location details. Click on the “Add marker” and then click close on the green marker point. 4. There should be placed a blue marker on the map. Hold this blue marker and place it exactly over the green marker. 5. Click on the blue marker and details popup with Longitudes/Latitudes. 6. 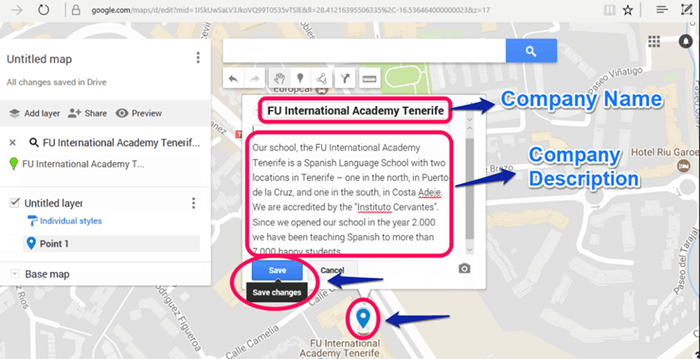 From the provided information, add the map title (company name) and its description. 7. To add a photo or a video click on “Add image or video” button. 8. Select a photo or paste the URL of the company under the relevant upload category and click Select. 9. You will be redirected to map page after uploading the photos. Then you click on “Save” button. 10. Click on “Share link”. 11. 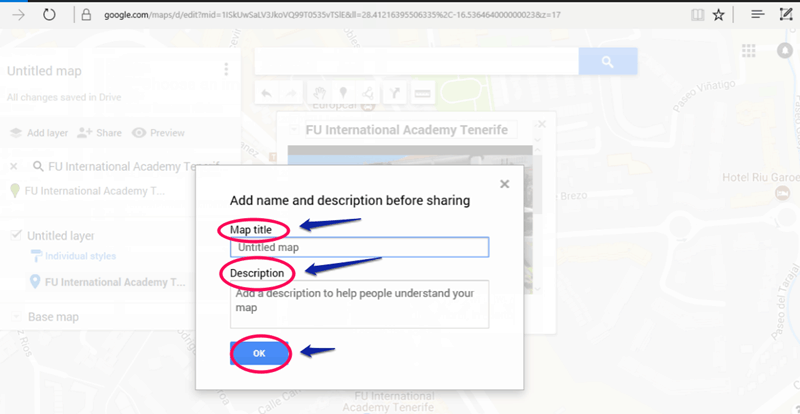 You’ll need to write the map title (company name) and description again, then Click “OK” when done. 12. 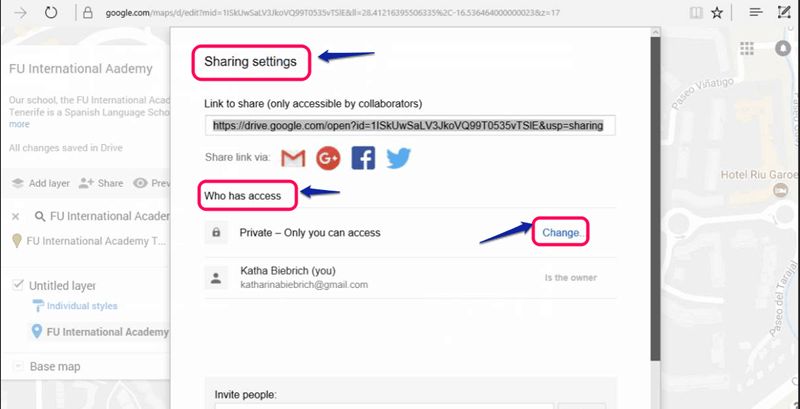 In “sharing setting” in the section “who has access” click on “Change”. 13. Select the radio button next to ‘On – Public on the web’ and click Save. 14. Click on “Done” button. 15. Click on the “Three Dots” and select from the “Pull-down” menu, click on “Embed on my site”. 16. Copy the HTML code and email to your website developer (to be added to your website), then Click “OK”. Now, your GMB account is settled. But we’re not done yet. For good local SEO, your business also needs citations. How to Build Successful Citations? Citations are listings of business’s name, address and its data across various sites and platforms that index information of different businesses. So how can we start? As a hint, you can search for your business competitors and check where they are listed in. You can search for local directories that are targeting your industry or business field. Bing Places for Business: you can add multiple business locations, photos, videos, with free registration. Yahoo Local Listing: Ranking third next to Google and Bing. The basic listing is free. Yelp: It allows you to send public or private messages (including deals) to customers and review business trends using the Yelp reporting tool. Yellow pages: It offers advertising, lead generation, and detailed ads performance data. Foursquare: This combination business directory and social networking site, allows users to check in via map and comment about your business. TripAdvisor: for business related to the hospitality or entertainment industries in 48 markets worldwide. Apple Maps: a web mapping service provided by Apple. 2. Pick different citation websites and create the listing. Make sure your NAP information is consistent. 3. Optional: You might want to create an separate email account for all your citation listing. Most of the websites will send you an activation link. Usually, this link needs to be confirmed. 4. Don’t forget to upload your business logo and photos. Congratulations You Are Ready to Compete in Your Local Market! 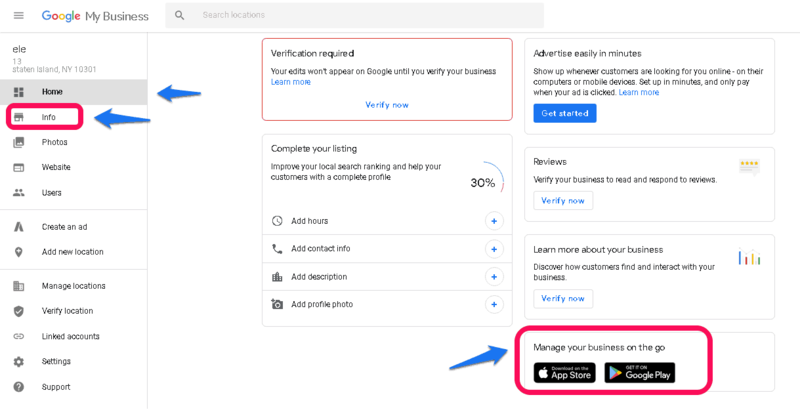 If you follow our instructions carefully, you will be able to create your GMB account, optimize your business photos, embed your business in Google Maps and list your business in local directories. Do you want us to take the hassle of creating/updating your GMP profile and adding citations out of your hands? Check out our service, which we guarantee to finish within two working days! Let us help you to rank your business better in Google and make it is easier for your customers to find your business. Check out our service! Manage your business easily and make it easier for your customers to find your business and search engine as well. Get started today! Feel free to also check out our different services, which you can find here. Even wondered why some local business show up on top f the search results? Their secret: Google My Business.